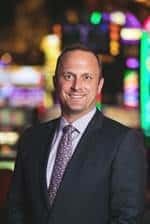 Uncasville, CT (August 10, 2018) – Mohegan Gaming & Entertainment (MGE), operators of Mohegan Sun in Connecticut and Pennsylvania and manager of multiple properties throughout the United States and internationally, today announced the appointment of three new senior executive staff members to support its growing and dynamic brand. Effective immediately, Drew M. Kelley, Senior Vice President and Chief Financial Officer, Barbara Kenney, Senior Vice President and Chief Human Resources Officer, and Richard Lindsay, Senior Vice President and Chief Development Officer, have officially joined the Mohegan Gaming & Entertainment team and will apply their expertise to lead the company into its next phase of growth. Mohegan Gaming & Entertainment (MGE) is a commercial gaming company headquartered in Uncasville, Connecticut at the home of its flagship property, Mohegan Sun. MGE is owner, developer, and/or manager of integrated resorts throughout the United States, including Connecticut, New Jersey, Washington, Pennsylvania, and Northern Asia. MGE are owners and operators of Connecticut Sun, a professional basketball team in the WNBA and New England Black Wolves, a professional lacrosse team in the National Lacrosse League. For more information on MGE and our properties, visit www.mohegangaming.com.